And just look at the pretty base! We changed the flooring, painted, changed up the light fixtures, added baseboards and of course got rid of those crazy window treatments! Even Costco is carrying a chair in this lovely shape (and at a very reasonable price, $379 for 2) but if only there were fabric options!!!! Darn! I am dreaming of a velvety charcoal grey. Has any one come across any similar chairs out there?? Well, for now, I am one step closer to a completed dining room with my yummy new table! Thanks for taking a peek! I'll be linking this post to Metamorphosis Monday's over at Between Naps on the Porch, be sure to head over there for some amazing before and afters! Great table and worth the wait! 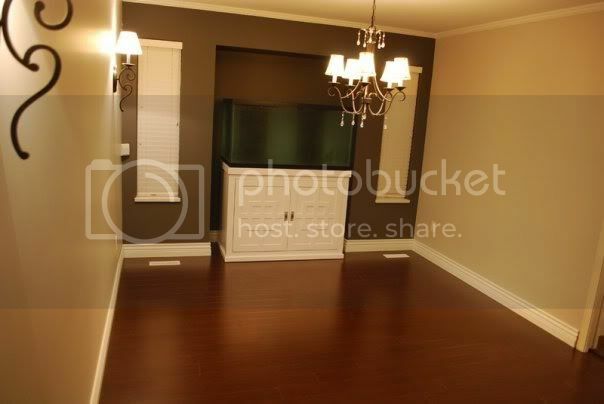 Wonderful room re-do in general. I'll think about the chair issue and get back to you. I love those chairs too! And I'm with you all the way about being patient when it comes to interiors. Why buy something that isn't just what you want? I'd rather sit on pillows on the floor for a year than buy "for now" solutions. Or better yet, get something really cheap from craigslist in the mean time. Hi Nancy! 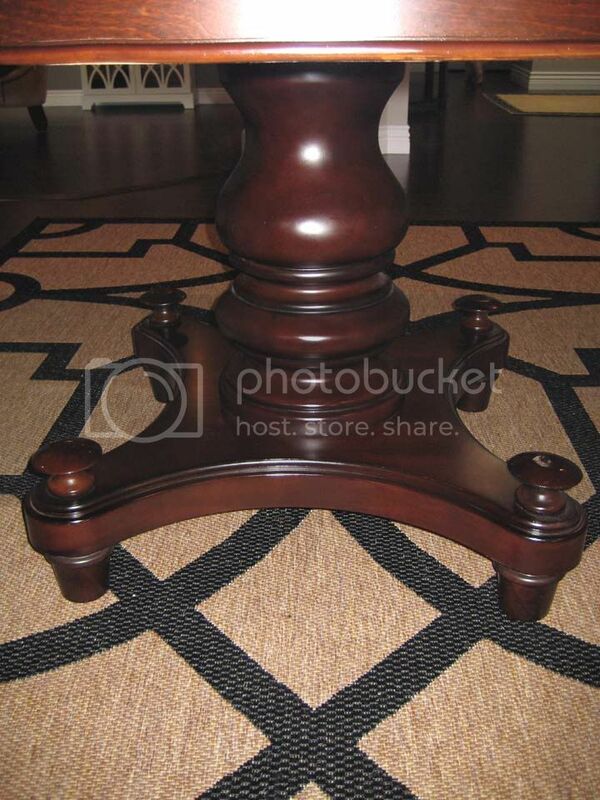 Oh, what a beautiful table you've found! 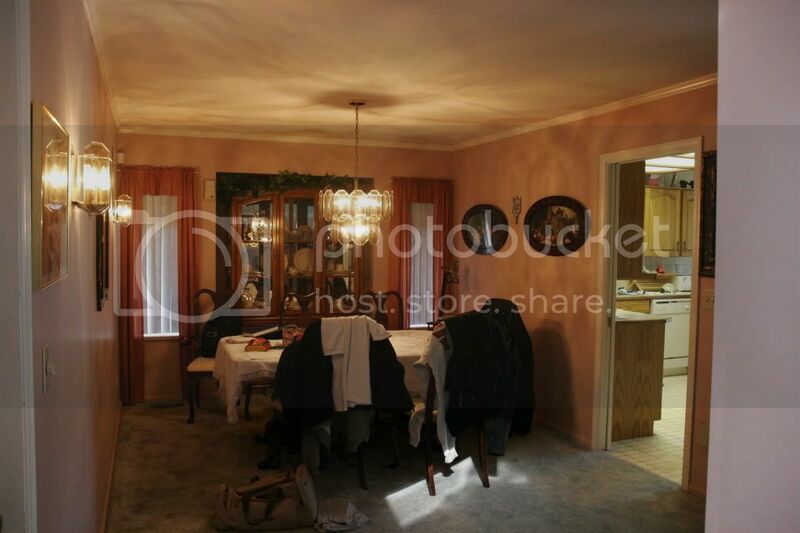 I think your dining room is just beautiful. 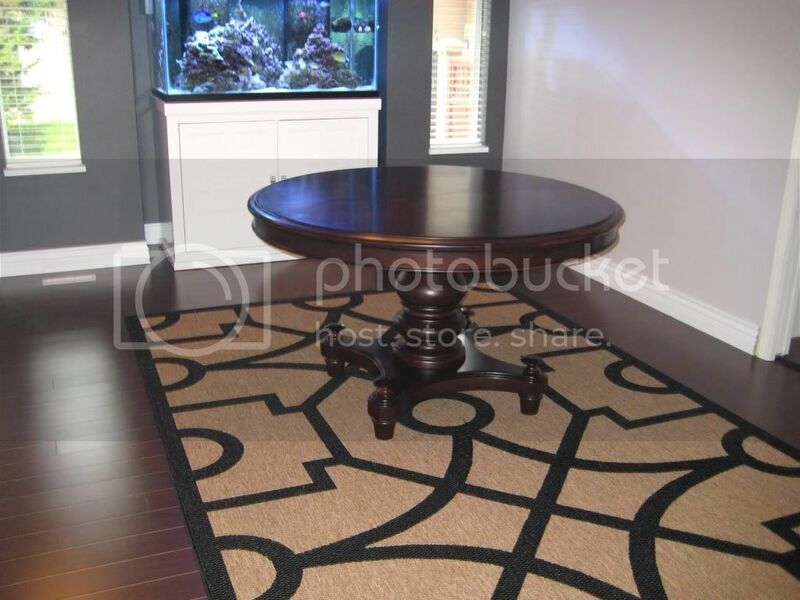 Your floors are gorgeous and I really like the little cut out area where you have your aquarium. Good luck in your chair search. Love the style. 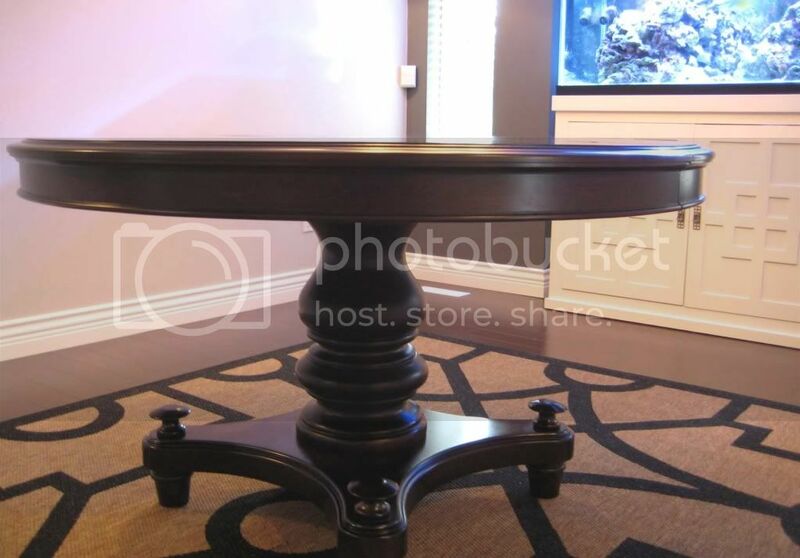 Fantastic ..I love a round table ....I'm using an old family dining room table until I figure out just how I want our dining room to look. For some reason, like you, this room may take three years to finish! Lovely! 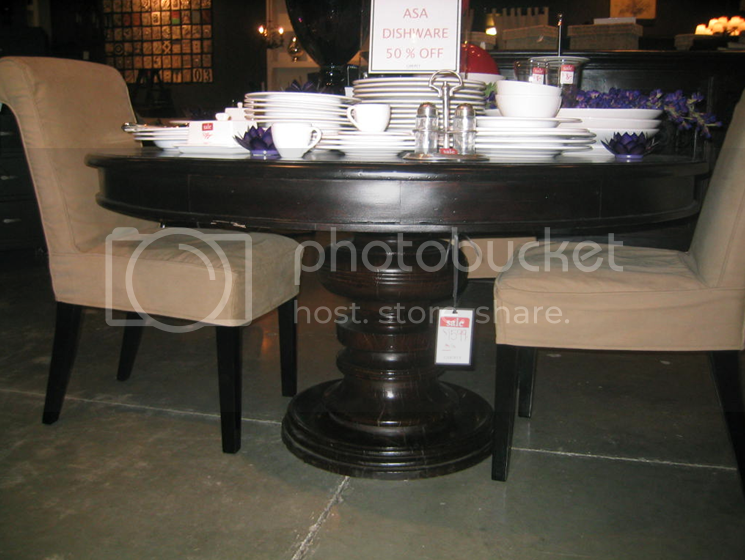 A beautiful table, especially love round tables, such a friendly way to entertain. 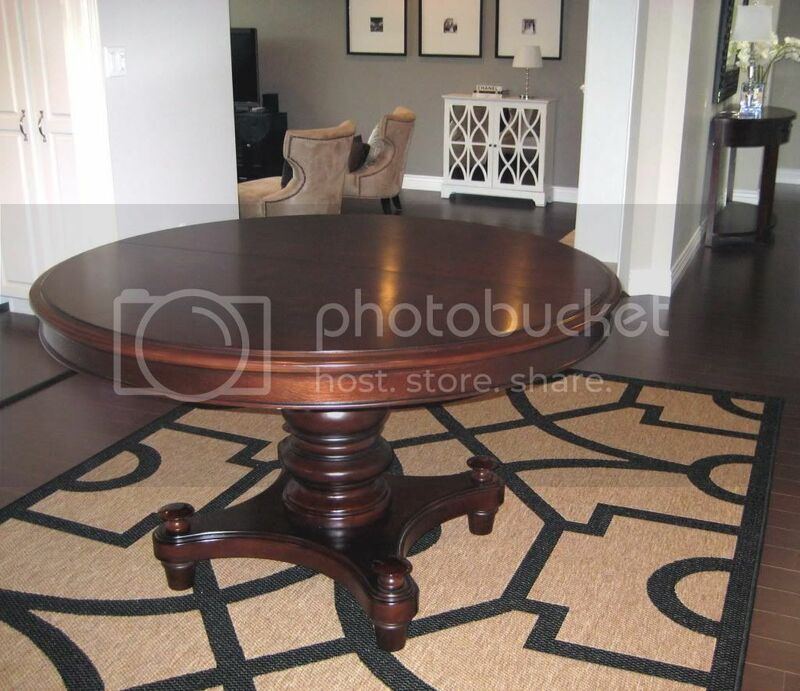 Love your table and your area rug, good choices. What a transformation. I agree with you it pays off to be patient. I have done so many fast purchases because they were cheep, more often than not regretted my decision. Love the choice of chairs except the last one. 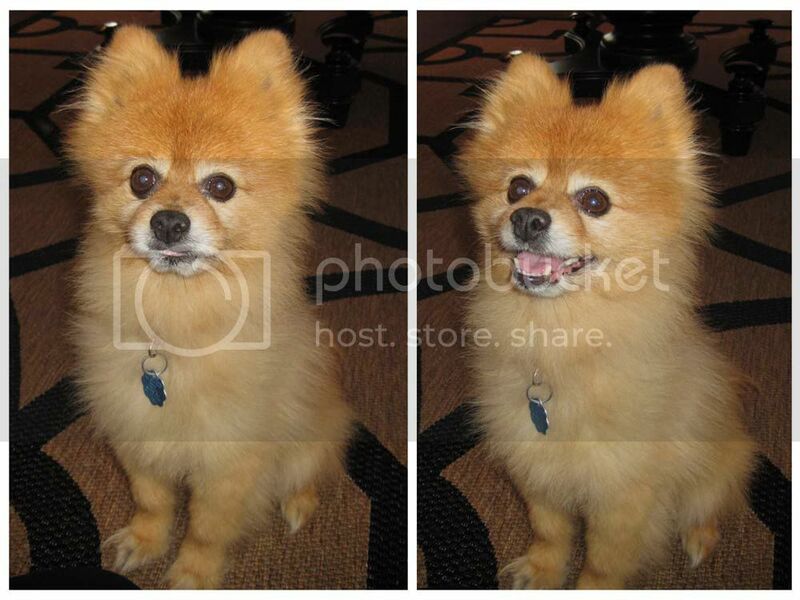 By the way I love your beautiful dog he is sooooooo cute. I fully agree Nancy - that chair from Liberty is fantastic! When you sit in it, it feels like it's perfectly hugging your back - you and your guests could definitely sit there for hours having a blast. I wish I could tell you where to find that Liberty chair at a reasonable price though...until then let's keep hunting. It'll turn up and the wait will be worth it! 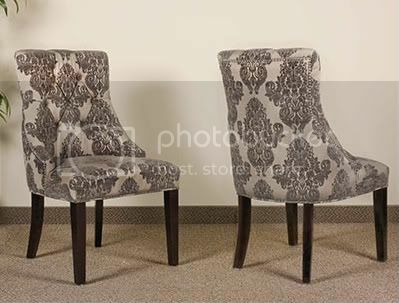 The chairs are fabulous, especially the last ones with the pattern. I think I will have my ideal home set in ..just about I don't know..5 years time? Getting better at it though since I moved to the country and no longer live in a tiny apartment. What a great transformation already. 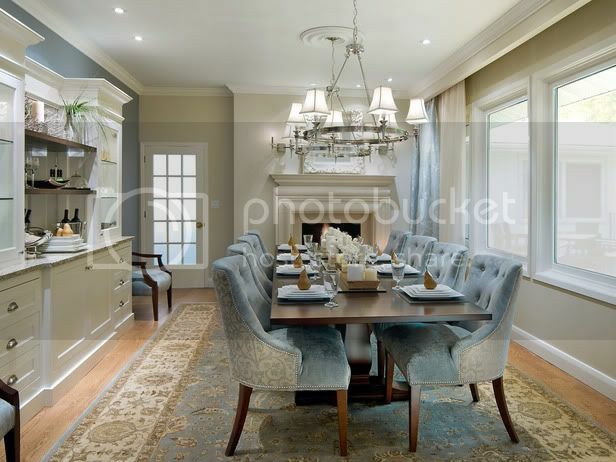 Love the new table and the Restoration Hardware version of the chair in the beautiful linen. Looking forward to seeing the final results. 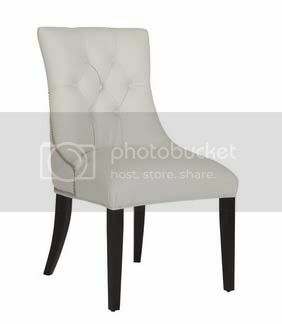 LOVE it - I just saw chairs like the ones you like from Liberty at the HomeSense in Langley!! I think they were around $190 each. I agree to get what you want it takes patience. I too agree with Margo and bought quick and cheap and regretted it. Funny I have used Liberty as my inspiration, there was at similar dining table like mine at Liberty but 8x the price!! My $80 chandelier was an Liberty copycat as well! 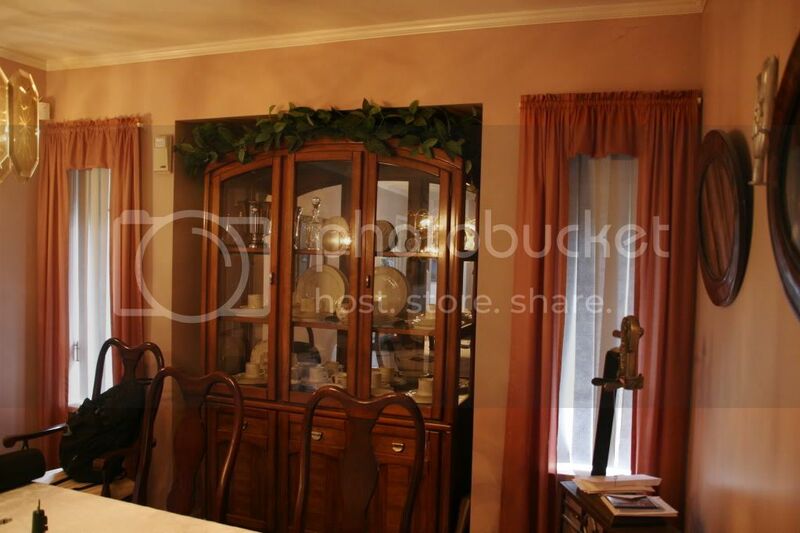 Your dining room looks fantastic so far! I've seen chairs like that at HomeSense. I can't say for sure, but they may have come in a grey chenille. What a great table! I can't believe you found it at Sears? Did I read that right? It looks like a million bucks. Can't wait to see the chairs you put with it! I'm loving your table, Nancy!! 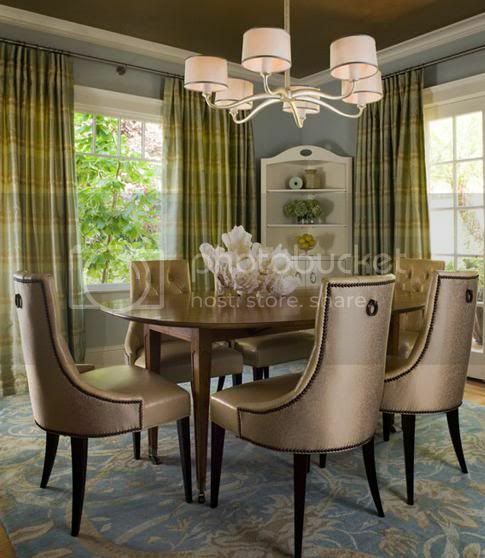 It's exactly the kind of thing I want for my dining room too... only hubby won't agree to ANY new furniture until we get our renovations done :-( which will be never :-( Woe is me. 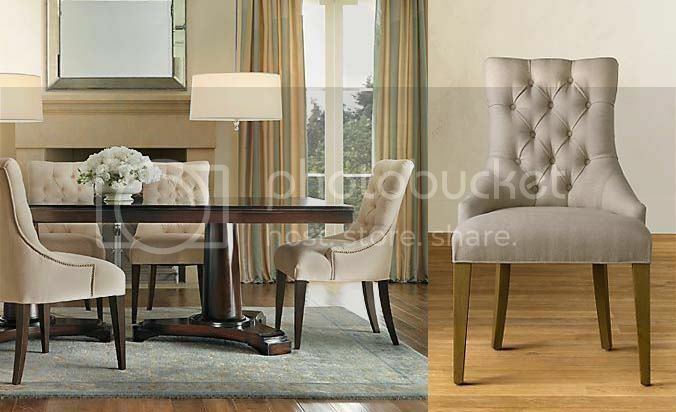 As for chairs, the shape of the Liberty or Restoration Hardward chairs are the ones that I like the best out of what you've shared... and I think the Costco chairs have a very similar shape. You know... I'm not a Liberty fan simply because of their prices... so not worth some of the product I've seen there!! Anyway... I'm thinking you will likely have to recover anything you find so that you get the fabric and colour that you want. For that reason I'm liking the Costco chairs - 2 for the price of one of the other less expensive chairs!! Quality is important though... can you go to Costco to see them, or would they have to be purchased on-line? Costco has a fantastic return policy by the way.